From small condo homes to large apartment developments, our industry-leading experience brings a long-lasting solution to roofing multi-family housing. Our metal roofing systems have made financial sense for thousands of owners of personal and commercial properties and we invite you to partner with us for a great multi-family residence roofing project. You simply won’t find these financial and safety benefits for roofing a multi-family residence in common roofing products. Our metal roofing systems offer complete, warranted protection and deliver curb appeal with beautiful finishes, year-after-year, decade-after-decade. Long-Life Durability– Featuring fade-resistant Kynar finishes, our products have a life expectancy of 40+ years including unmatched hail resistance. End your regular roof maintenance expenses! Energy Efficiency– Utilizing heat-reflective coatings and built-in thermal breaks, our systems reduce heat gain, creating dramatic energy savings. Recyclable– Most roof systems are a liability from the moment they are installed because they will have to someday be torn off and disposed of in a landfill. Our roofs are 100% recyclable. Their salvage value will probably exceed their removal cost. 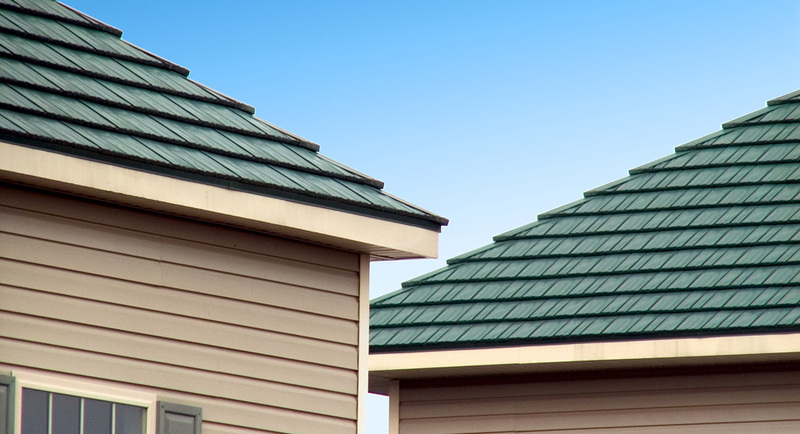 Increased Property Value– Quality metal roofing adds value immediately and holds that value. 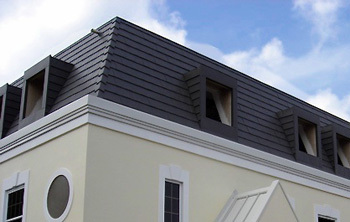 Interlocking Panels– Hold tight on the roof even in severe winds and also do not pose a risk of slipping and crashing to the ground even on vertical mansard roofs. Fire Resistant– Will not ignite due to airborne sparks from tenant activities or nearby fires. Hail Resistant– Warranted to not leak due to hail perforation or indentation. Low Weight– Installs over most old roofs so tenants are not subject to the debris of torn-off roofing materials in their yards, driveways or easements. If you need help navigating a metal roofing choice through a neighborhood, condo or homeowner’s association, we can help with that, too. We’ve developed a website for HOA’s, that of course, can benefit any multi-family housing projects. To learn more about our metal solutions for multi-family housing, request more information or a conversation. Our team of roofing professionals is able and available to help you find the very best roof for your property. And, on top of these benefits, you will also receive what we have become most known for … even our competitors agree … we manufacture the world’s most beautiful metal roofs. Our roofs will blow you and your tenants away with their curb appeal. This results in increased occupancy rates and greater property resale value. And, thanks to our unique manufacturing technology, you get all of this beauty at a cost that is equal to or less than most other metal roofs!